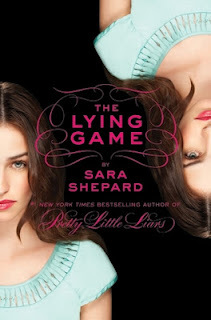 From the bestselling author of the Pretty Little Liars series comes the first novel in an exciting new series that takes readers into a brand-new world of deception, intrigue, and murder. Both of them knew they had a long-lost twin sister on the same day. Emma found out through her sickening and liar foster brother--on a thrilling video in which Sutton was the main character. Sutton found out in a more devastating way: appearing in Emma's bathroom and nobody seemed to be able to hear or see her--dead. But she didn't know how it happened and how she died. Emma's life was not going smooth at all. First, she went to her friend's for a sleepover and there's her mother's note saying that she went for a trip and Emma was left waiting years for her to come back for her. How sad right? I mean how could a mother do that to her own child? I hope she had a valid reason for doing so! What's worse next? Oh yes, having your foster brother for making you a scapegoat for stealing your "mother's" money and then subsequently kicked out of the house. Of course Emma went to find Sutton. They arranged to meet up through facebook. Emma ended up being "kidnapped" by Sutton's group of friends, apparently mistaking her for Sutton. However, Sutton did not turn up. And things took for a worse turn when she was "forced" to live as Sutton by a note from an unknown sender: "Sutton's dead. Tell no one. Keep playing along... or you're next." What could Emma do? The only family she'd left was dead--she needed to find out WHO killed her? Was it the person in the video who pulled off Sutton's blindfold? Seems very likely. So... Emma's on it to discover the truth and to solve a murder where anyone could possibly be a suspect. By pretending to be Sutton. I bet you'll ask the question "Then how?" after you've read the first book in the series, "The Lying Game". Try it. 4/5 Stars for The Lyaing Game. Definitely reading book 2!